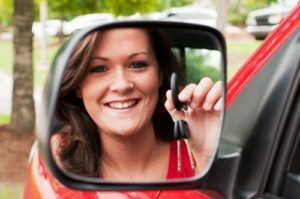 About Us - D2L Driver Education Ltd.
At D2L Driver Education Ltd. we believe there is more to driver training than preparing someone for a road test. Our goal is for each student to become a confident, competent, and courteous driver. Do they pick the student up at home, school, or work? Does the student have to meet the instructor at a certain location? Is the student able to use the driver training car that they have learned in for their road test? Some schools offer this as a complementary service other schools offer this for more than $100. Do they have student testimonials? Of course not many schools would make available negative comments from students. Is the school able to get you in right away or are they backed up? It’s important to find a school that is able to work with your schedule. Does the school offer a flexible payment plan? Driving is the most dangerous activity most young people will every partake in. More teens and people in their early 20’s die from vehicle related injuries than all other causes put together. It is the mission of D2L Driver Education to train all drivers in a way that minimizes the risk to themselves and others.